As long as game is going in the right direction and has a vision who cares? Promises are worth nothing without Tasos' pinky swear! I do admit what may be the most important difference between their long term success or failure at the moment is communication, keeping enough of a player base during Indev: 2.0 will be heavily reliant on keeping their vision alive in peoples minds, which is impossible to do in silence. the current player base don't matter for this game to be a success - theres less than 100 of you - I know you all like to feel special but your not. a wipe and relaunch with advertising is what is needed, when @Ub3rgames has done his road map. population could not straighten out. You don't understand the MMO audience at all. People want something fresh so they can feel "competitive". Once people realize "oh this is advertisement for a dead game that's been running for 2 years" they will go play something else. There is a world of difference between that and a "fresh start". Look at what Archeage just did. You think if they started advertising "everybody come back and play on 4 year old Kyrios again!" people would bother? They had to make totally new servers with new progression rules. Show me one MMO that was successful rebooting their population without wiping. FFXIV is the closest example but that game shut down for a year and essentially was remade entirely in that timespan. Is New Dawn going to do that? Just face the facts that this server is getting wiped in 6 months or the game is dead in 6 months. Pick your poison. If the server is wiped in 6 months, the game WILL be dead in 6 months. You cannot sustain a persistent MMO with even the remote possibility of a wipe at some point in the future. People will say, "why bother, everything will get screwed up and it will be wiped again". are you even paying a sub? lol. This is extended indev. You are the beta testers. The people like you who are addicted enough to play this version every day will play after wipe because you can't help yourself. You'll always come back. You're free money and the core audience. It's the new people they are trying to attract. The benefits massively outweigh the negatives. You are wrong a wipe would do little but frustrate that core you think is a lock, I quit DFO and I quit UW and though i play this everyday to assume people like me wont quit is pure nonsense given ive done it in every version before. New players dont need a new world in fact they will have a much better intro to the game if the world is already somewhat developed with stocked markets and built player holdings and only vets who like to crutch on early imbalances are the ones who would need a wipe. Who exactly are these players? Do they even exist? They are born already? What games are these mythical players playing right now? Becareful of fairy tales. Many things Ub3rgames planned turn out completely wrong. Remember the primary flaws of DFO they identified? Tell me did fixings those core flaws turned the game fortune? Somewhere I remember them saying they believe DFO is a complete game...are u kidding me. My point exactly. These future players Ub3r is developing for are more in Ub3r's imagination than anywhere else. The huge player base they expected to get when they based the server in France. of Ub3r's trustworthiness, they can forget any new players, as these new players will have an example of what they can expect. The only thing a wipe gives is a chance for very dedicated players to catch up with veterans, rest of the casuals are negatively impacted by the wipe and will stop playing game very soon, faster with the wipe option, especially with DnD gear limits where there is little to do while waiting for gear to pop up available(or not as markets aren't really working as soon as people clan up and go to their cities). As in specific claim that darkfall wipe will help and that you need to show evidence of successful MMO reboot I'll show you an example of 4 or 5 unsuccessful MMO wipe reboots (not sure if RoA wiped on release). Here they come! : Unholy wars, betas and releases of both DnD and RoA. So yeah don't claim wipe will solve problems as it will only make casuals have a harder time as dedicated players will take over their favorite activities with more dedication. What solves problems is tiered activities per player progression. 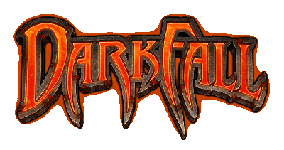 Darkfall has this in mild effect already as you don't want to farm lower level stuff all the time and move towards bigger mobs and leave weak and medium ones to new players. Crafting lacks this even thought it was suggested many times. But even PvE layer-ism is still too flawed to be considered having many layers and being as fun as it could be. A good wipe example is Path of Exile but they also have a huge problem of passing 8-12 hours through the story every time there is a wipe. What they have is ability to quickly gear up and your skills and permanent equipment make a lot of difference and you can obtain them easily by trading. In Darkfall you have to grind roughly the same for the same effect and your gear deteriorates and can be lost. So wipe is such a bad option for such game mechanics. There is nothing you can do, including wipe, to make 10 year old seem fresh to new players no matter how hard you try. They should focus on returning existing dnd/dfo players instead and wipes don't have much effect as already proven several times. Yup 100% agree all this talk of a wipe is nonsense. The only legitimate reason to do so would be because the new game had changed so much old characters we're simply incompatible with the new game. As you say Ub3rgames would be very clearly breaking their word doing a wipe and lose confidence from players that they wouldn't do it again. But there's other reasons it's stupid as well, with front loading, easy meditation and now skill, stat and title books there really isn't a very long gap between established and new characters. It certainly pails to the difference experience between veterans and new players can have on outcome. But most of all the belief that a wipe is necessary includes an unstated premise that if you didn't start your character at the beginning of the servers creation you can't compete, not only is that false, but if it were true it would mean the game would be guaranteed to die in a relatively short period of time given it has no potential to grow in population only shrink. Also suspect you're right about Ub3rgames banking on some new "mythical" population to fill their subs once they finally complete their game. It's a long shot for them, but they don't seem outwardly panicked by their current server being basically on life support in terms of population and player activity. It's such a long shot because by the time Ub3r has finished there's going to be games like Crowfall and Camelot Unchained to compete with, heck by the time Ub3rgames deliver even Star Citizen might be a live game. I dont know who are those "people" you talking about. All i do know however, is that i personally wouldnt care if id have to join a mmo where (some) rest of the players are noticably further along in progression. There are other factors much more important.